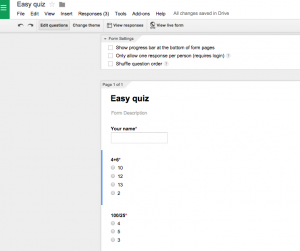 I use Google Forms a lot, I use it for personal use and in my classroom. I have used it to give my students a quick quiz or test. It is a great way to organize all of my data in one place. The only problem is…. 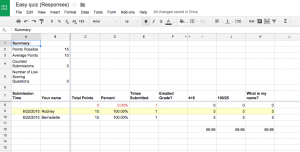 it doesn’t give me a grade…..until now. Download the Google add-on to use after your students complete a Google form. 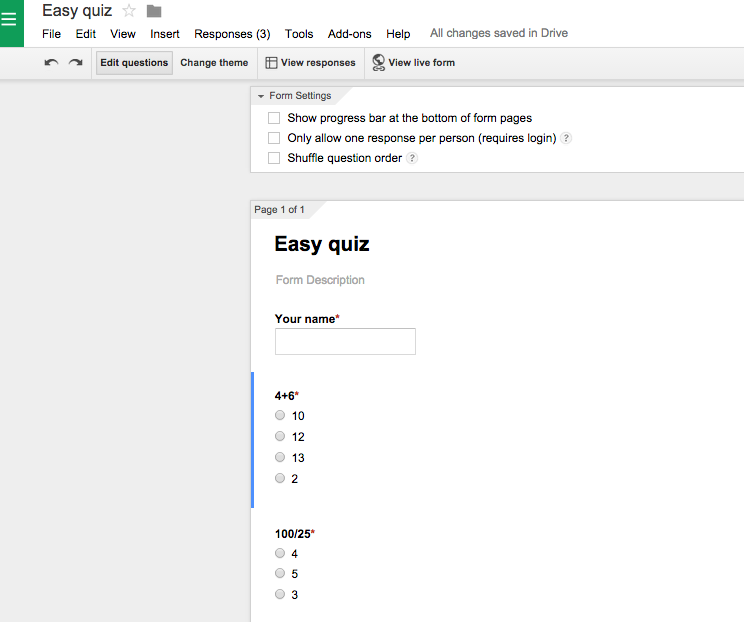 Once you have created a Google Form quiz, you have to go to your live link form and complete the quiz yourself. 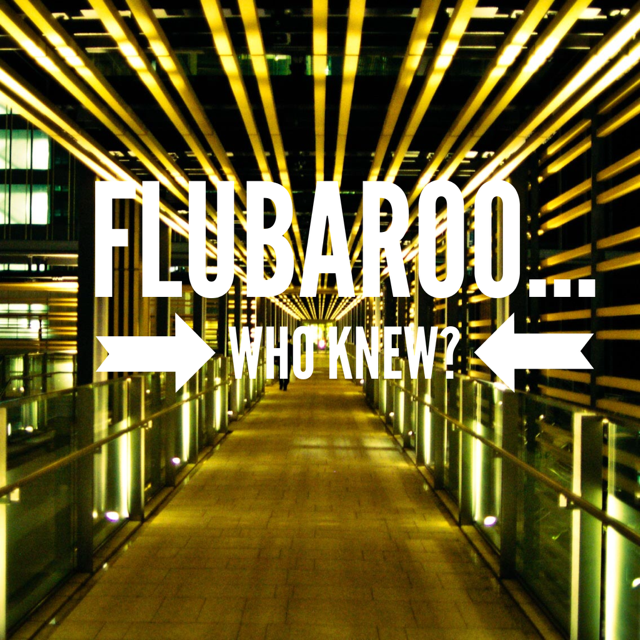 This way you have a entry that you can use as the answer key. Make sure you complete the quiz with correct answers. This program works best with multiple choice questions. 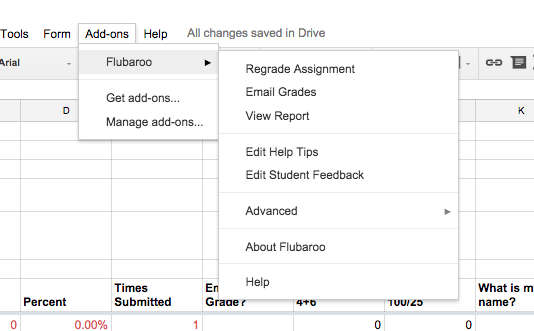 After you have your results from your students you can click on “Add-ons” and then select Flubaroo and then Grade Assignment. Then…you have your grades. 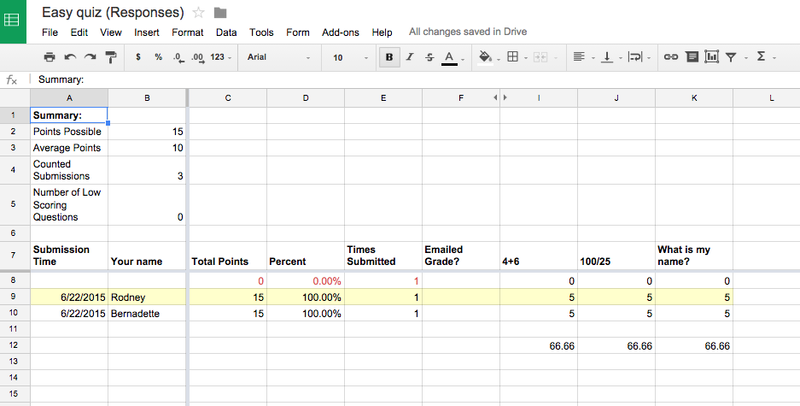 You even have features to be able to email your students their grades.